In Hollywood's vast menagerie of eccentrics, weirdos, and committed nonconformists, Tommy Wiseau is somewhere between a unicorn and a sasquatch. He financed his legendarily bad cult movie, The Room, by allegedly importing and selling leather jackets from Korea; his carefully hidden country of origin might be Poland; and he believes that his film has solved America's crime problem. There's little anyone can claim to "know" about Wiseau. Then there's his art. Did he intend forThe Room to be black comedy or as a straight-faced drama? Wiseau insists the former. Everyone else insists the latter. 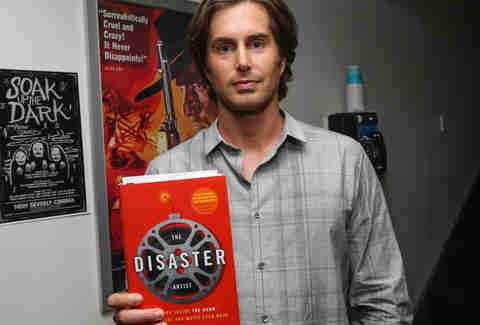 Whatever the case, he convinced his cast and crew -- Greg Sestero, Sandy Schklair, Juliette Danielle, Philip Haldiman, Carolyn Minnott, Todd Barron -- that The Room had potential, and by doing, opened his self-made myth up to scrutiny. The Disaster Artist, Sestero's account of the absolutely bonkers development and production of The Room, co-written with journalist Tom Bissell, shed light on Wiseau's strange, shady life. Now, James Franco's same-named adaptation of Sestero and Bissell's book is in theaters, to the (99.9%) approval of Wiseau himself. (Apparently, he has issues with the way that Franco throws the football.) We can now officially declare the threads of The Room's creation unraveled. But there's a second mystery to Wiseau: how did he persist all this time? How did he survive The Room and make it to The Disaster Artist? We dug into the years that followed The Room's bizarre midnight movie success to learn more about the "real" Tommy Wiseau. The Room premiered on June 27, 2003, playing at Laemmle Theatres' locations in Fairfax and Fallbrook, known in the biz as gateways to the Oscars. During the film's two-week "qualifying" run, Wiseau submitted it (without success) to the Academy Awards. Once that endeavor went nowhere, and The Room had been pulled from circulation, a betting person might have put good money down on Wiseau's career going down the drain with it. You'd think a $1,900 box office gross and a microscopic theatrical run would have been enough to put The Room in the rearview of movie history, but people are incurably fascinated by train wrecks. Screenwriter Michael Rousselet, having witnessed The Room with his own two eyes in an empty theater, persuaded his friends to buy tickets for themselves, possibly because misery loves company, possibly because he's a crummy friend. Reportedly, Rousselet's sadistic recommendation turned into a hundred or so people joining in the fun of throwing spoons at a movie screen. Consider this the opening of the floodgates. 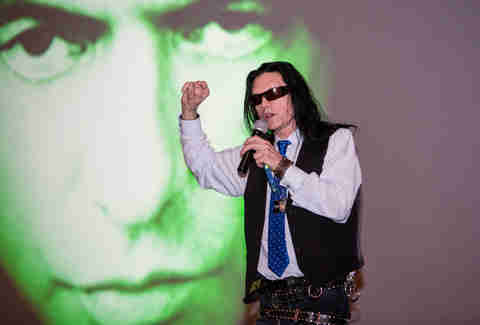 Soon Wiseau's inbox and phone were overwhelmed with requests to set up screenings at the Wilshire Screening Room. The calls came from the theater, but the hearts driving them, according to Wiseau, belonged to "his fans." This began The Room's midnight screening circuit, and thus the start of Wiseau's budding notoriety as one of the movie industry's most magnetically oddball personalities. While the Academy overlooked The Room during its initial run, the film did indeed win an accolade in 2004, courtesy of the New York International & Independent Film & Video Festival (which has a reputation for accepting just about every submission run by it, and for charging a $300 dollar entry fee for participants). Ruse or not, the festival bestowed The Room with the Audience Award, in point of unsurprising fact. So there you have it: The Room is an award winner. In the same year, Wiseau, not quite caught up in the coming whirlwind of The Room midnight bonanza, directed a short documentary called Homeless in America. The title gives it away: It's about homelessness, in America, through the lens of Wiseau, who may be one of the last people on the planet who should have tackled a serious a subject as homelessness. 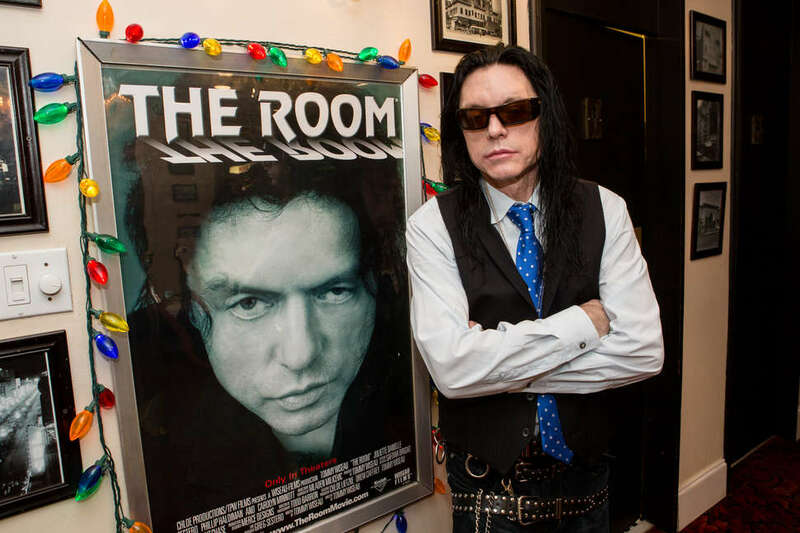 DVDs of The Room hit shelves in December of 2005, furthering the spread of its cult status, and gifting the world an exclusive interview with Wiseau (above). Questions include: "What are your plans for the future?" Answers include: "Make a lot of movies... and produce The Room for Broadway." Nothing helps raise a movie's profile like celebrity endorsements, even a movie like The Room. If the film's midnight screenings got the ball rolling, then arguably the stream of love from people ranging from David Cross to Kristen Bell kept it in motion. In 2008, Cross told a funny anecdote about stalking Wiseau at the 2005 Screen Actors Guild awards, while Bell and Veronica Mars creator Rob Thomas referenced The Room in the 16th episode of the show's third season. All the while, Wiseau continued doing his thing, screening The Room at midnight, playing football with his adoring public and having, in his words, "a groovy time." In the midst of The Room's burgeoning cult prominence and its architect's heightened profile, Wiseau tried making follow-up projects to The Room. The first of these was The Neighbors, a sitcom he announced and shot a pilot for back in 2007. Though promised for later that year, all that came out of the shoot was a trailer (see above). The second was an episode of Tim and Eric Awesome Show, Great Job!, "Tommy," which he both directed and starred in. Maybe calling it "weird" is meaningless, because Tim and Eric is by its very nature a weird show, but, well, see for yourself. After trying his hand at directing again, Wiseau played the lead role in a comedy horror short by Brock LaBorde and Jared Richard, released on Comedy Central in October. And another, slightly less small and completely mind-boggling development: Wiseau is awarded Harvard's Ivory Tower Filmmaker of the Year Award. No words. With The Neighbors going nowhere fast, Tommy took time off of riding the wave of The Room's midnight showings to star in a pair of webseries: Tommy Explains It All and The Tommy Wi-Show. Tommy Explains It All is appropriately self-explanatory: Wiseau sits in front of a camera and chatters at length about America, John Wayne, Alfred Hitchcock, Citizen Kane, sunrises and sunsets, and seemingly any other topic that pops into his head. In 2013, Sestero and Bissell dropped The Disaster Artist. Unexpectedly, there's not much of a record of Wiseau's reaction to the book at the time of publication; being as he loves the movie, there's reason to assume he has warm and fuzzies over the book, too, though maybe his affinity for the movies makes the pill of Franco's adaptation easier to swallow than Sestero's text. In 2015, Wiseau was mostly known as a self-mythologizing, mildly narcissistic, but overall harmless looney tune. Somehow Steve Heisler's spectacularly unpleasant 2015 interview with Wiseau for The A.V. Club convince you otherwise. The experience of reading this is not unlike the experience of watching The Room, especially toward the end as things go way, way, way off the rails. 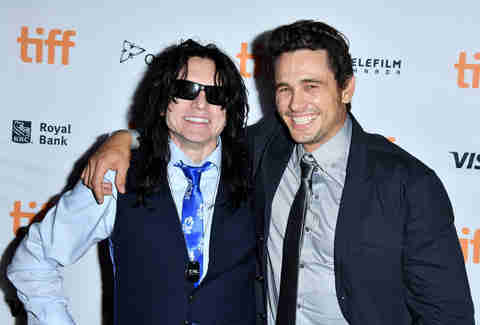 When Heisler asks him what happened to his former assistant, John, Wiseau simply replies, "I have dozen of assistants. I have four assistants. Move on, next question. Yes?" Rick Harper, a massive The Room aficionado, intended to work with Wiseau on a documentary about the film, and about Wiseau by extension. Somewhere along the line, Wiseau dropped out, and somewhere along the line after that, he put the completed movie under a court-ordered injunction that prevented Harper from showing Room Full of Spoons, or exhibiting it, or even promoting it. As of November, that injunction has been lifted. Besides attending midnight screenings of The Room, Wiseau found side work playing the villain in Samurai Cop 2: Deadly Vengeance, and at some point shot a new movie, Best F(r)iends, on its way in 2018, marking his reunion with Sestero after The Room emerged into the world and changed the course of humanity as we know it. So many years after presenting The Room to the AMPAS for awards consideration, Wiseau must feel at least a little vindicated as he basks, alongside Franco, plus Dave Franco, Seth Rogen, Alison Brie, Josh Hutcherson, Zac Efron, Jackie Weaver, writers Scott Neustadter and Michael H. Weber, and too many other names to name here, in the glow of awards season buzz. Any wins along the Oscar trail belong to the Francos and their team, but in a roundabout way, they'll belong, if only in spirit, to Wiseau as well. The Room is his, and his alone. Midnight movie marauders might adore it. Comedians might be transfixed by it. Franco might see it as the story he was born to tell. But nobody other than Wiseau can claim any real ownership over The Room, and nobody other than Wiseau can claim credit for the phenomenon of its ever-increasing popularity. Andy Crump is a contributor for Paste magazine, The Playlist, WBUR's The ARTery, Slant Magazine, The Hollywood Reporter, and Birth. Movies. Death., and is a member of the Online Film Critics Society and the Boston Online Film Critics Association. He is composed of roughly 65% craft beer. Follow him on Twitter @agracru.